WorldLoop, is mentioned as an exemplary organisation in a series of lectures of a Waste Management course taught at the University of Delft, the Netherlands. 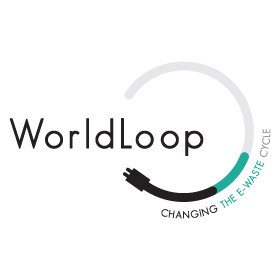 WorldLoop’s objective is to recycle e-waste such as computers that have reached their second end-of-life, after they have served as refurbished devices in educational, health, and other social projects supported by Close the Gap. This recycling is done in an environmentally sound and thus sustainable way. With this initiative, hazardous e-waste is reduced and handled appropriately. WorldLoop’s mission has triggered the interest of the lecturers at the University of Delfts, who wanted to include WorldLoop as an example of how (e-)waste management needs to be handled. The objective of the course is to teach students of the key role that waste management plays in saving critical raw materials. Moreover, students will also gain practical knowledge of the circular economy, recycling, refurbishment, and remanufacturing as a means of identifying new business opportunities.